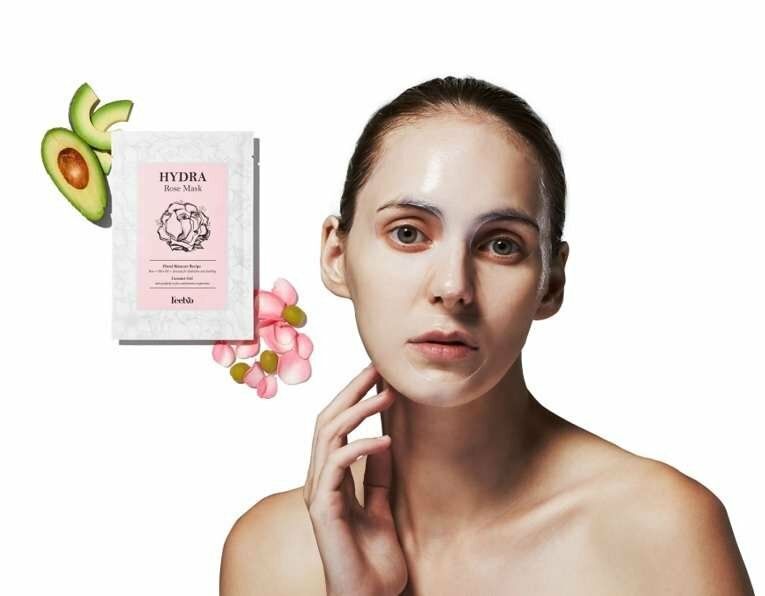 People, in the past, simply used general facial masks on targeted skin problems on a day-to-day basis. However, the temporary action did not solve the substantive problems until now! ‘Feelxo’ came up with 5-step ‘All in One Program’ with a well-researched background for skin care products. This regime is proven to work for all types of skin by allowing essential nutrients to absorb quickly unto the skin. 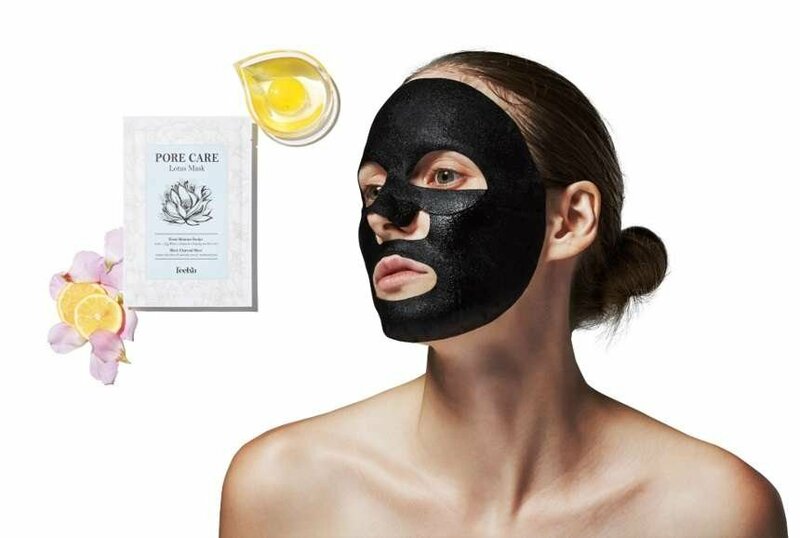 Facial masks should be used by understanding of your skin condition with well-planned. 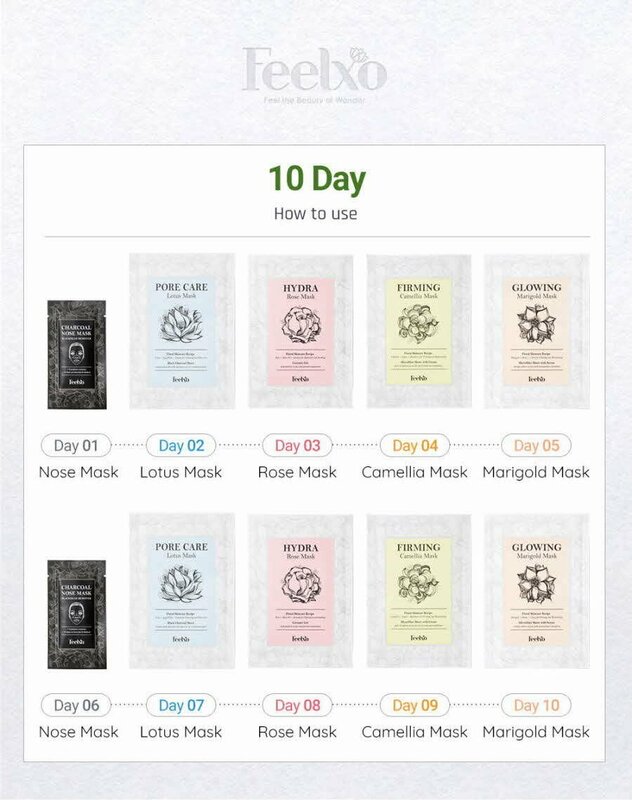 Feelxo sets 5 steps daily mask by analyzing skin care cell turnover to penetrate essential nutrients onto your skin. It can be much more effective than just using masks containing the same nutrients everyday. Gain control of grime. Remove stubborn blackheads and whiteheads from around your nose. Gently, but effectively extract skin-clogging impurities with our Charcoal Nose Peel! Make sure to remove the double-layered protective films on this mask before use! FeelXo has discovered the optimal combination between the ingredients and each sheet type. Use different mask everyday. You will experience the difference. Sign in to get special offers, free giveaways, and once-in-a-lifetime deals.